Guess who’s been tinkering with our patterns again? Why, it’s Shelley from Bartacks and Singletrack. 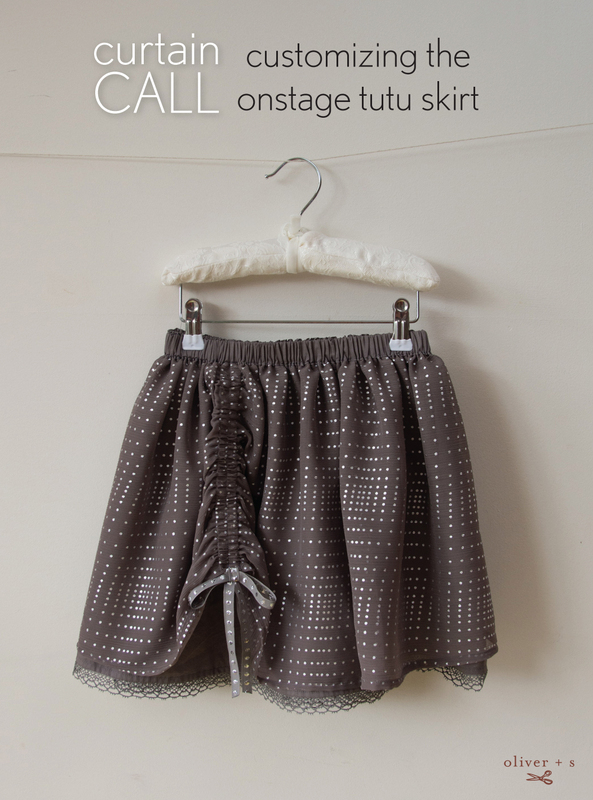 She is returning with a customization to a girl’s Oliver + S pattern, the Onstage Tutu Skirt. It’s such a pretty skirt, perfect for a fancier occasion and just in time for the holidays. Instructions for a doll skirt are included in the Onstage Tutu Skirt instructions, so you could take Shelley’s idea and modify the doll version for girls who want to match their dolls. Stocking stuffer, anyone? Thanks Shelley for sharing this terrific tutorial! Hello everyone. Have you got a long, long list of projects that need to be made before Christmas? Me too. Here’s a quick, little modification that you can make to the Onstage Tutu Skirt for a last minute party skirt that’s sure to get you a standing ovation from the girl you sew for. 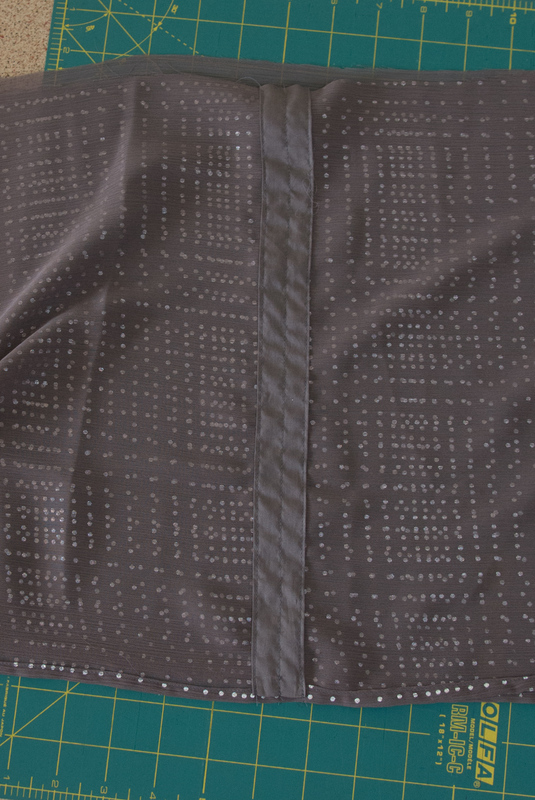 Essentially we’re just going to add a casing to the reverse side of the outer skirt layer(s). 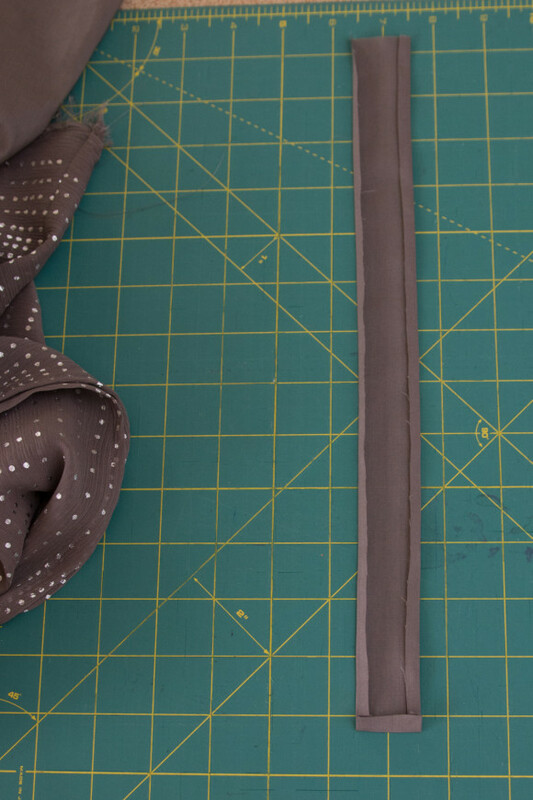 A ribbon will run up and down in the casing and act as a drawstring to “raise the curtain” of our skirt. Fabric for the main skirt and a lightweight fabric like a voile, georgette, silk or tulle for the overskirt. Go fancy, it’s Christmas after all! An extra small piece of fabric 1.5” wide and as long as the overskirt. Alternately, you could use 1” single fold pre-made bias binding. 3/8” ribbon. You’ll need twice the length of your overskirt, plus about 20” for tying a nice bow. Firstly, I’ve constructed the skirt and the overskirt as per the pattern instructions. I’ve chosen to have my overskirt shorter than the skirt and so cut it about 1.5 inches shorter than the pattern recommendation. The fabric I used for the overskirt did require hemming. If you need to hem your overskirt do this once the centre back seam has been sewn. Don’t forget that the pattern does not include a hem allowance for the overskirt as it’s usually made in tulle which doesn’t require hemming. If you’re not using bias binding then you need to press under the long edges of your casing strip. Press each long edge under by 1/4” and then press one short end up by 1/4”. The other short end can be left unpressed. Mark the half and quarter points on the skirt and overskirt as per the pattern instructions. I’ve offset the casing for my ribbon by putting it just to the centre of one of the front quarter marks, but really, you can have it wherever you like. 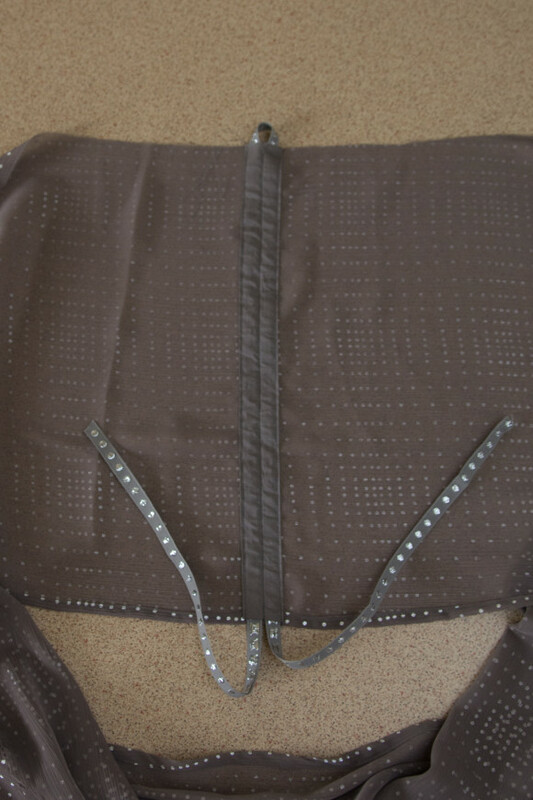 With the overskirt wrong side up, pin the casing, right side up, to the skirt where you’ve chosen to place it. 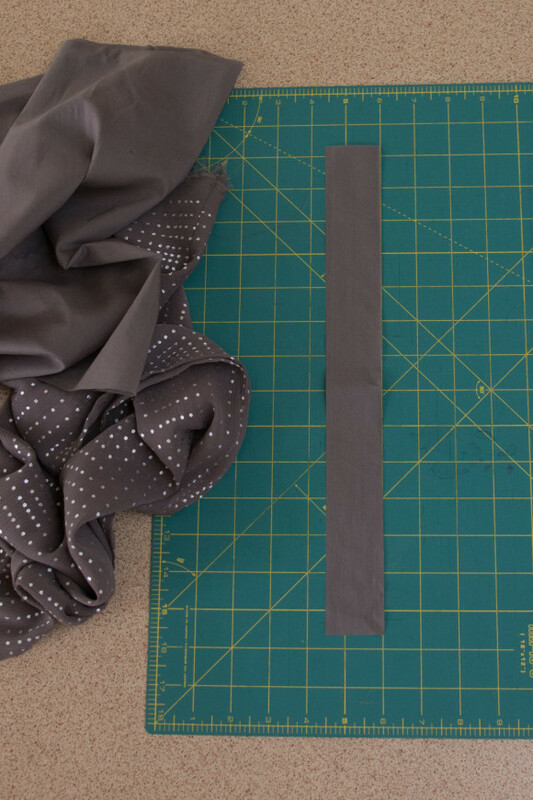 Align the turned under short end with the hem (or bottom edge) of the overskirt. Edgestitch the casing to the overskirt down each long edge. Then stitch another vertical row of stitching straight down the middle. Leave the top and bottom ends of the casing open. Now, using a bodkin or other handy tool, thread the ribbon up one side of the casing, out the top, then back down the other side. Pull the ribbon through until the free ends are of an even length and there isn’t a loose loop at the top. The rest of the skirt construction is now just as per the pattern. 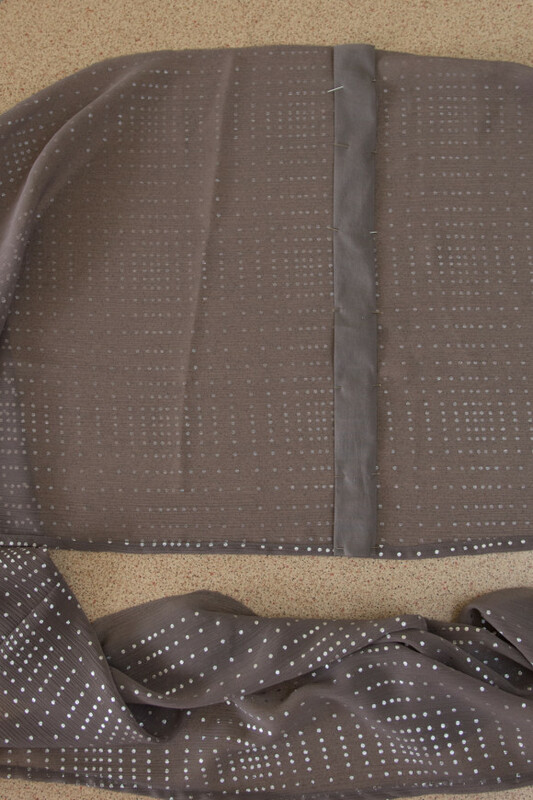 The only change you need to make is to create two sets of gathering stitches across the overskirt’s front section. One set of gathering stitches from a side marking to the casing, and then the next set going from the casing to the other side seam. The centre front and side markings of the skirt and overskirt should still match up as you gather, but you won’t be trying to gather the casing and ribbon itself. Since I was working to a brief of “really fancy please Mum” I also added a bit of lace to the bottom of my main skirt. I have to give a shout out to Dubhels2003 (@dubhels2003) from the Oliver + S forum, as she gifted me the ribbon and lace trims. How she knew they would match perfectly with these leftover fabrics from my stash is almost spooky! The gifted trims arrived after I’d sent her an outgrown dress. Have you seen this thread in the forums? Up For Grabs where beautifully made and much loved (or not worn at all, grrr) Oliver + S garments are packaged up and passed on to be loved (or rejected) all over again. For me, that embodies everything that is wonderful about the sewing community we’ve created here, and makes this the perfect Christmas skirt! I wish you all a wonderful holiday season and hope you enjoy your sewing whenever you can! This makes me so happy! Fab skirt, great modification. Thanks Nicole, and thank YOU Helena. Weren’t those trims just perfect?! The skirt is really cute. Your leftover fabric worked perfectly, and the ribbon is a perfect match! Yay for stash-busting!